Marcos Hernández Rodríguez was born in Queretaro in 1964. He studied for his degree in Civil Engineering at the National Polytechnic Institute (IPN), graduating in 1987. Marcos joined Sordo Madaleno Arquitectos in 1988 to support in the Architecture department. His management skills and ability to complete projects led Marcos to become the firm’s Engineering Department Leader in 1992, a position he occupies to this day. His technical and construction contributions are of enormous importance to the design and construction processes led by the eight project teams at Sordo Madaleno Arquitectos. His daily work involves supervising and coordinating the engineering aspects of the architectural projects the firm deals with. He possesses broad experience and capability when it comes to detailed review of the solutions proposed for each project, in order to select the most suitable option in terms of initial and operating costs. He is an expert in preparing fee proposals and following up on payments. 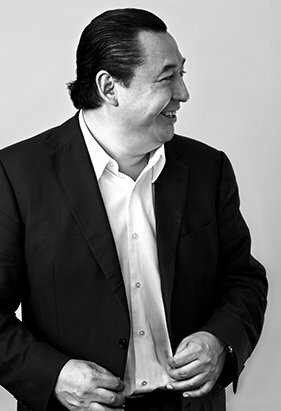 Marcos has coordinated countless projects, including most notably the first and second phases of the mixed-use Antara development, the Antea shopping mall in Queretaro, the Andamar shopping mall in Veracruz, the Picacho shopping mall in Mexico City, the Andares shopping mall in Guadalajara, the Isla Pasión Hotel, the Westin Regina Hotel in Los Cabos, the Marena apartment blocks in Acapulco, the Outlet Punta Norte, the Angelópolis shopping mall in Puebla, the Church of Santa Fe, the Cumbres de Acultzingo development, the Puebla convention center and the Parque Toreo mixed-use development. He has acquired vast experience in coordinating large-scale public projects. Between 1986 and 1988 he worked as Project Engineer for the Grupo de Ingeniería Aplicada Auxiliar in the Engineering department. Between 1982 and 1986 he worked as Engineering Assistant for the Office of Public Works in Atizapán de Zaragoza and Tlalnepantla, in the State of Mexico.